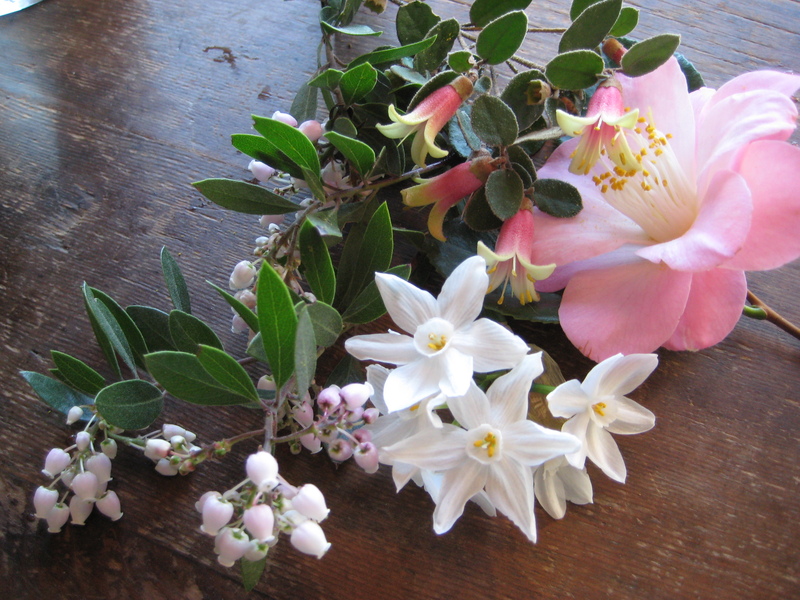 Camellia, Narcissus, Manzanita and Australian Fuchsia ‘Sister Dawn’. This cutting garden will have additional species for summer and fall bloom. The exact combination is still in development but it will keep a pink palette and provide green “structure” throughout the year. Put them all together in a discerning and graceful way. Note: Correa “Sister Dawn” is also known as “Dawn in Santa Cruz” and was brought to market by Dr. Ray Collett who founded the UCSC arboretum. It just so happens that Dr. Collett was my faculty advisor, when I was a student, and that my client was an early supporter of the arboretum in Santa Cruz. So including this plant in her garden will bring extra meaning to both of us and really, that is the ultimate goal for any landscape.